I’m posting this post from Jakarta now. Today is the first day of Startup Asia event. I will update about the eCommerce trends from this event when im back in Bangkok. Everything went fine but the terrible traffic jam. One interesting thing that I’ve met Andry, the founder of PriceArea.com, the largest price comparison site in Indo. Then he said he already quoted some stuffs from EcomEye for his tomorrow keynote presentation about eCommerce scene in Indo, when he first saw my name card. Ooopps, how did he know my blog?? Indonesia is the top contributed country with 7 candidates, Thailand follows with 5 brands, Malaysia and Vietnam are competing with 3 populous online shopping pages. Philippines provides only 2 but both are quite crowded brands in Top 7. Vietnam is a promising country with more FB members in the top list as Facebook in Vietnam has been easier to access since the last twelve months. Rocket Internet continues to dominant the world most powerful social media platform with 5 eCommerce brands, which are distributed equally in all 5 countries in which Rocket Internet SEA has subsidiaries (excluded Singapore with a tiny population). 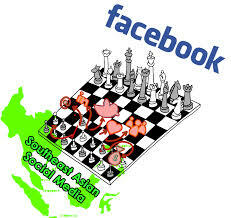 You might want to see: What is the eCommerce startup scene in Southeast Asia?